A book that gets my child excited is a good book indeed. M loves reading, mainly at night time, so when I find a book that she will ask to have read to her again and again, and join in the actions, I just have to review it. 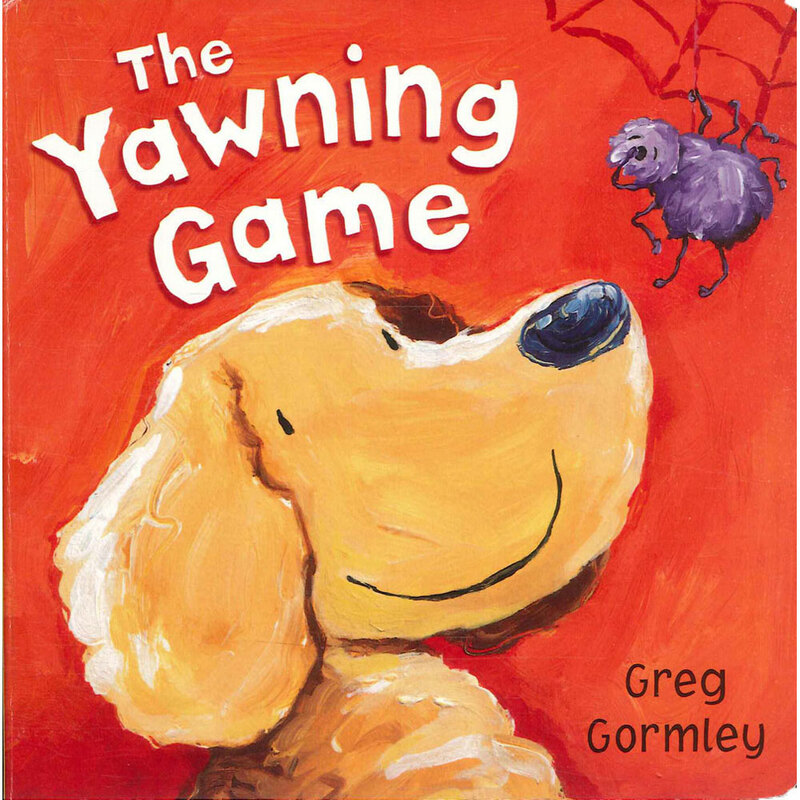 The yawning game follows a dog who realised that is he yawns whilst around others that they will end up falling asleep so he goes off to find people to play the game with, but how long will the game last for? As you can see from the cover illustration the pictures are incredibly cute and in an oil painting style - the first book I have seen to have illustrations like this. There are plenty of colours which make for a bright and engaging book. M loved yawning along with the dog and the creatures that he met along the way, as well as stretching and pretending to sleep. Usually with books she will sit back and take the story in but will tend not to take part in the book but she really got into this book. I think I had to read it 20 times in a row at one point because she enjoyed it that much. It is a pity that we will have to return it to the library in a few weeks time. One word of warning though. It is not a myth that talking about yawning will make you yawn and that is exactly what I ended up doing.